Graduating high school is a big accomplishment but it’s just the first stepping stone in the adventure of adult life! For some, the next step is college and for others, she’s heading off into the real world. Both paths can be expensive so help to offset this cost with the gift that keeps on giving! 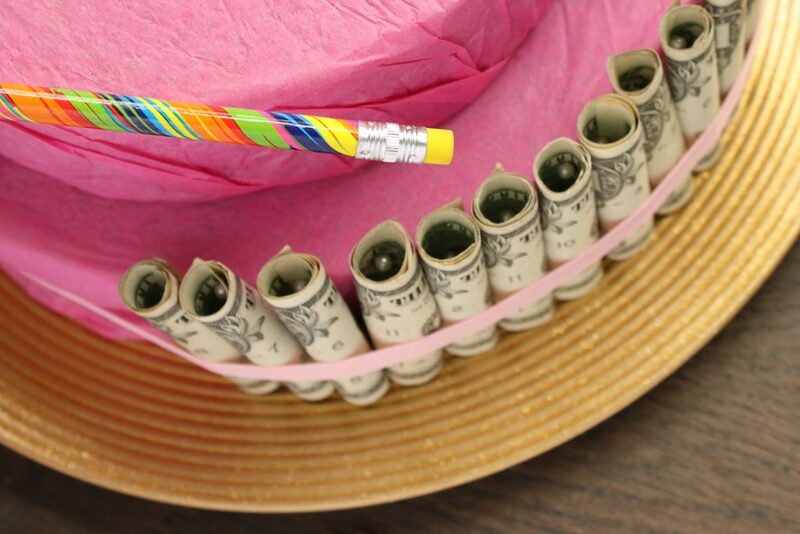 To help contribute to the costs of books and supplies, create a DIY money cake to give as a graduation gift with rolled up dollars! You can use bills in any amount to make your gift of any value and swap out the décor details to match your school colors! 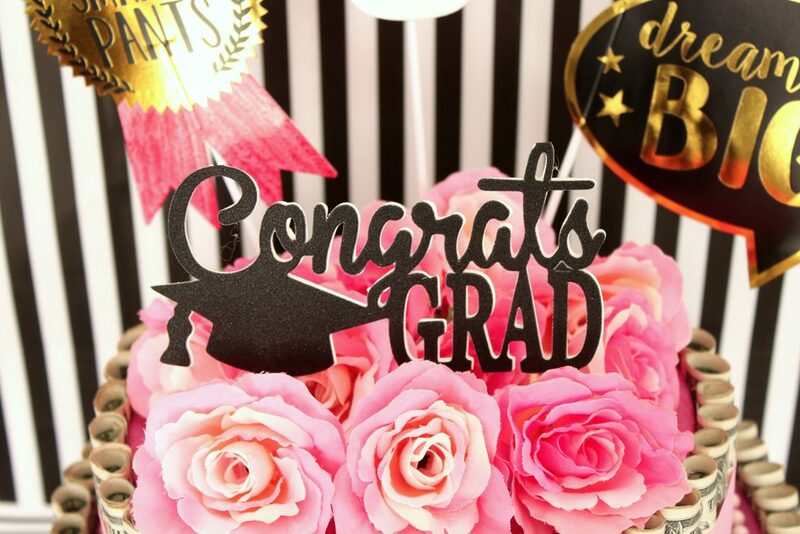 Follow along with the steps below that Tara from Spot of Tea Designs but together to show you how to make this graduation gift that will surely put a smile on the recipient’s face! 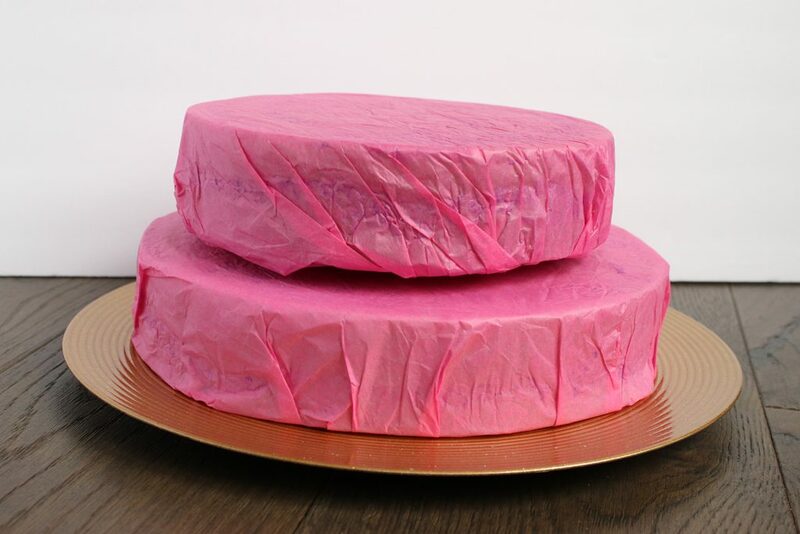 First, create the base of the cake by covering your discs with pink tissue paper and a glue stick to hold. Stack the discs one on top of another, using toothpicks to help secure them together. Place on the gold charger plate. Make sure the pin goes through the end of the bill in the back before securing to the disc. This will help make sure it doesn’t unroll. The tighter you roll your bills, the more you’ll need for coverage! 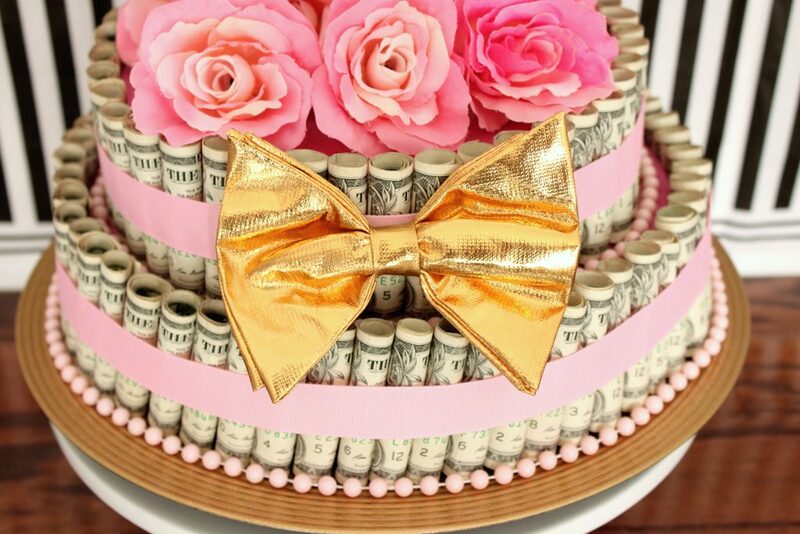 This cake used 100 one-dollar bills. Simple math tells you, if you increase the value of each bill, you increase the value of the cake! Use the eraser end of a pencil to help push the straight pin into the foam disc. 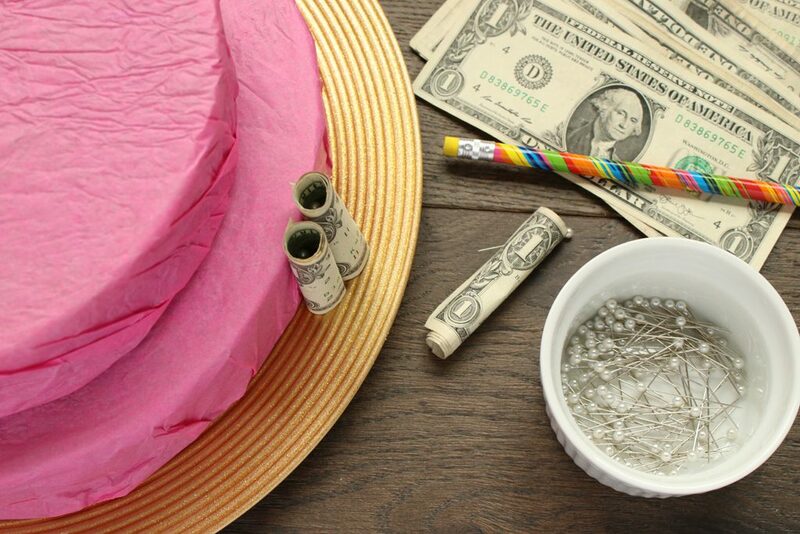 Wrap a piece of ribbon around the cake and rolled bills as you add them to the cake. Make sure to include lots of slack so you can keep tying and loosening it up as you add more. 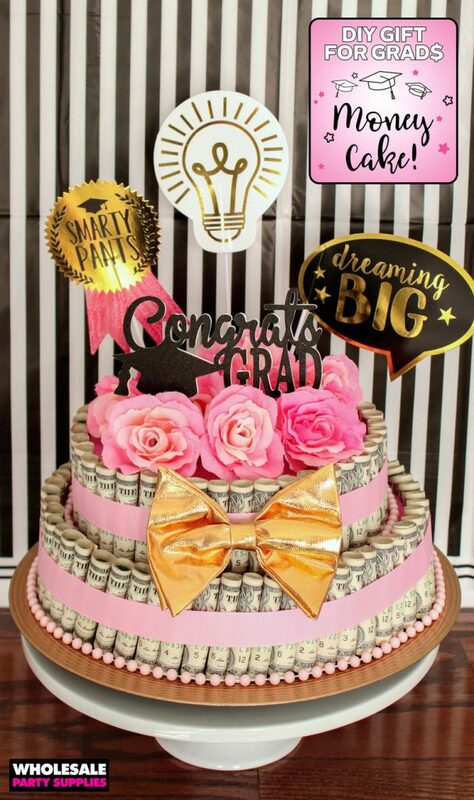 This ribbon technique will help keep all the bills tight against the cake as you work. 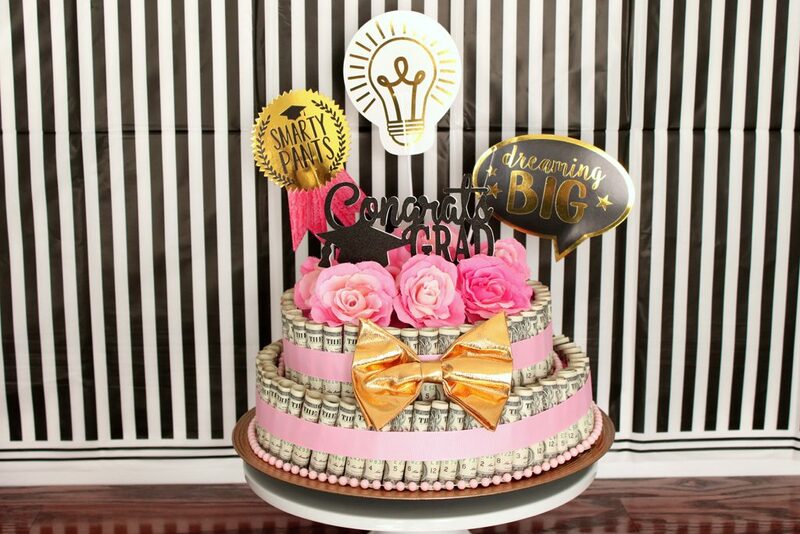 Once you’ve added all the bills around the cake, tie the ribbon tight to secure everything together. Wrap the beaded necklace around for decoration. Tip: you’ll need 2 for the bottom layer. You may want to use hot g­­­lue to secure the beads in the back onto the charger plate. DON’T use hot glue on the paper bills! 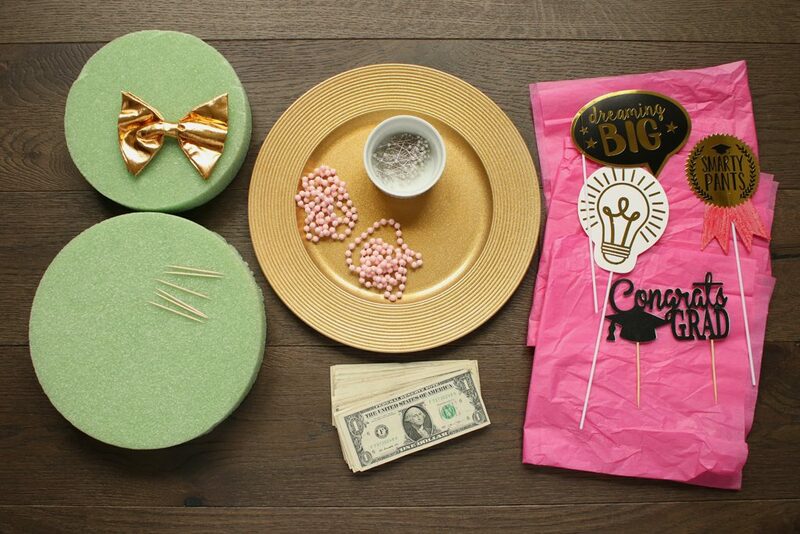 Glue a gold bow in the front. Insert the photo props on top. Insert the cake topper right in the front and cover the top with the flowers. Tip: swap any of these features added at the in for things that match your school colors! 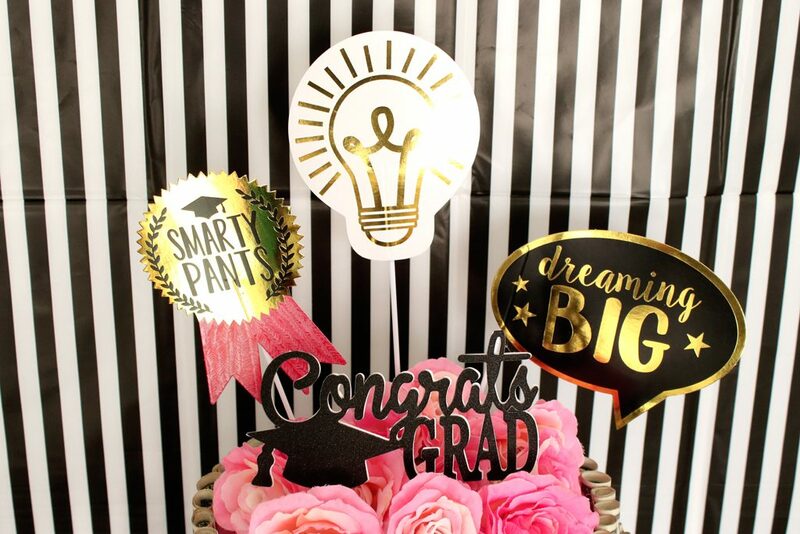 See this graduation cake front and center of this fun Kate Spade inspired graduation party. This is one gift that’s sure to show her how proud of all she’s accomplished in life so far. 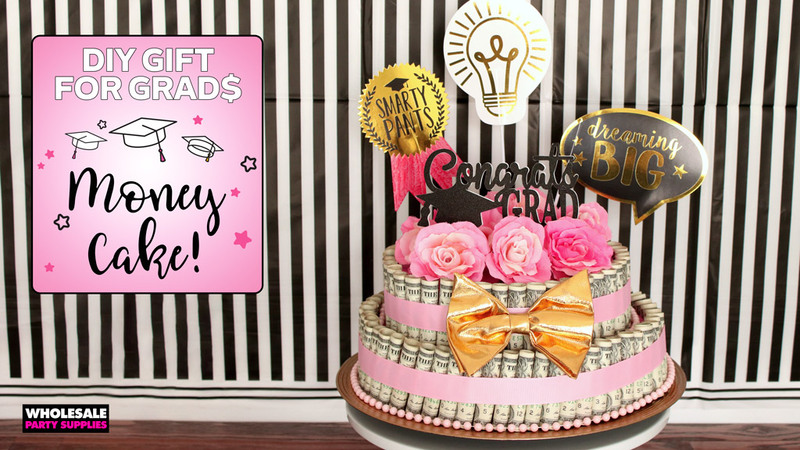 Sending her off into the real world with some cash has never been cuter! 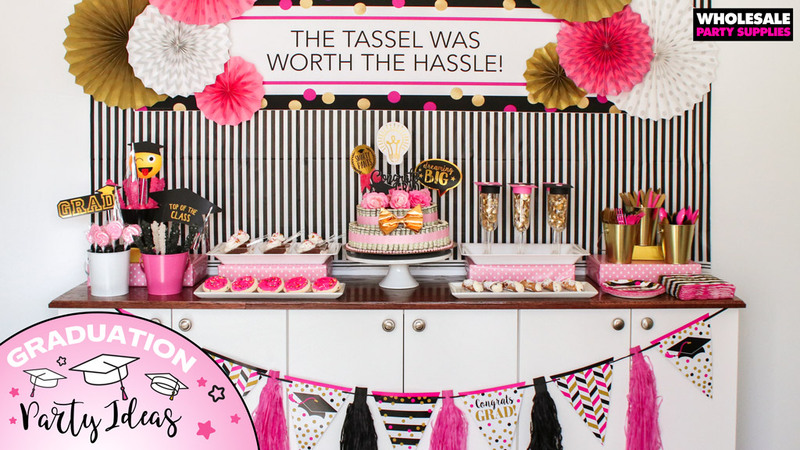 You can count on us to have more party ideas and DIY for all occasions. Connect with us on Facebook, Twitter, and Instagram to see what’s next! 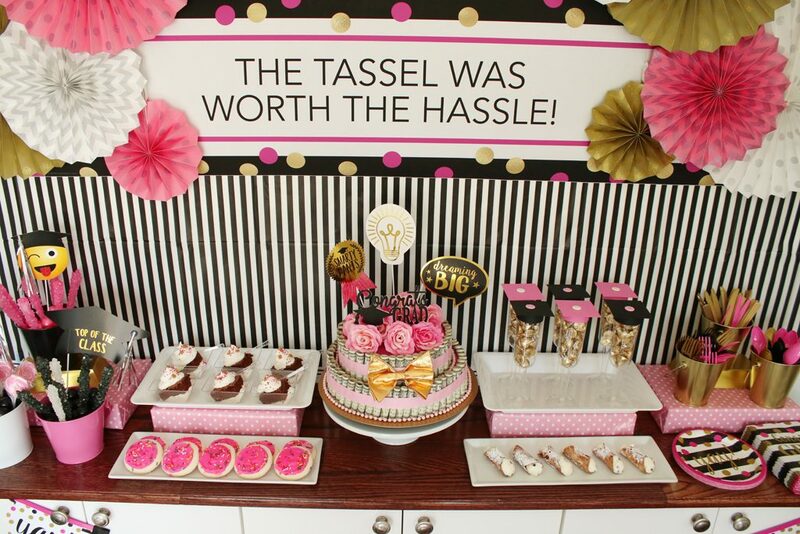 Keep up with all of our party ideas and DIY projects and see what we’ve been saving on Pinterest!